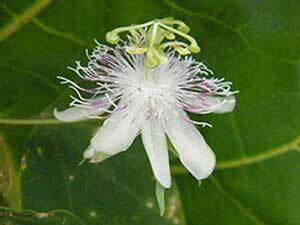 This is Passiflora resticulata. 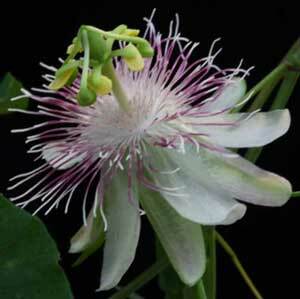 This seed is very hard to find and it creates the most delicate light pink striped blossoms. 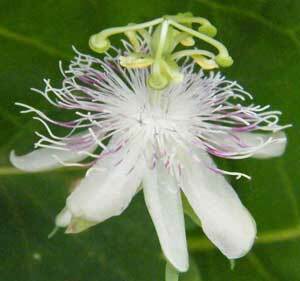 Passiflora resticulata is the larval host plant for the Atthis Longwing butterfly. 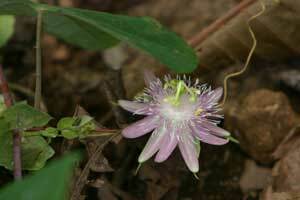 This butterfly mimics the Zebra Longwing to ward off predators. 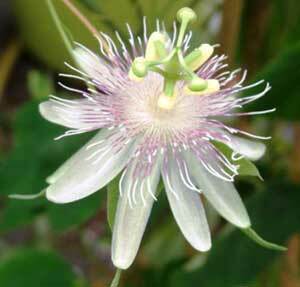 Passiflora resticulata is native to Columbia and Ecuador, so my guess is USDA Hardiness Zones 10 to 11.